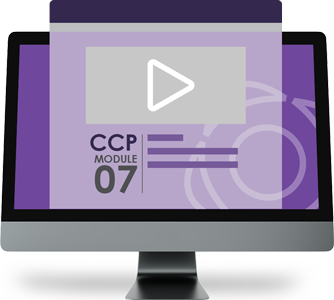 It is recommended that you prepare for this exam by acquiring the CCP Module 7 eLearning Study Kit: Fundamental Cloud Security or the printed CCP Module 7 Study Kit: Fundamental Cloud Security or by attending an instructor-led workshop that includes the CCP Module 7: Fundamental Cloud Security course. 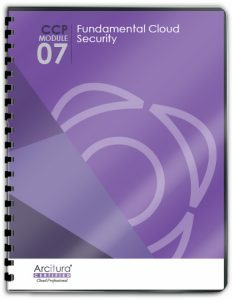 A Pearson VUE voucher for this exam can be purchased at the online store on the Exam C90.07 product page. 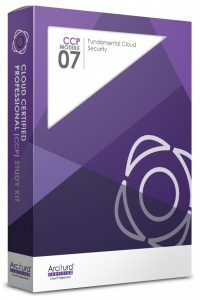 The official study resources for this exam are the Module 7 Study Kit and the Module 7 eLearning Kit. To purchase this exam voucher at a discount together with either Study Kit, visit the product page on the online store and choose the voucher for Exam C90.07 as an add-on. Bundles that include either of these Study Kits may also offer this voucher as a discounted add-on. This voucher code can be redeemed online when scheduling the exam for delivery at a Pearson VUE testing center or via Pearson VUE Online Proctoring. The voucher can only be used once and will be set to expire one year as of the date of purchase. Exams that are passed with a grade that is 10 or more percentage points greater than the passing grade are considered to have been passed with honors. For example, if an exam’s passing grade is 70%, then a grade of 80% or higher is required for the exam to be considered to have been passed with honors. Whether you pass exams with a regular passing grade or with an honors grade is shown in your exam history on your AITCP account. If you pass all exams within a certification track with honors, a special version of the certificate is issued indicating that the accreditation was attained with honors and displaying a special gold-colored seal. Learn more about scheduling this exam at a Pearson VUE testing center or for delivery via Pearson VUE Online Proctoring by visiting pearsonvue.com/arcitura. This exam may be available for on-site delivery and proctoring by an Arcitura Certified Trainer at eligible public and private workshops. Public workshops that include on-site exam proctoring are listed on the Workshop Calendar page. To learn more about on-site exam proctoring during private workshops, visit the Private On-Site Exam Proctoring page. For policy information regarding exam retakes, visit the Exam Policies page.